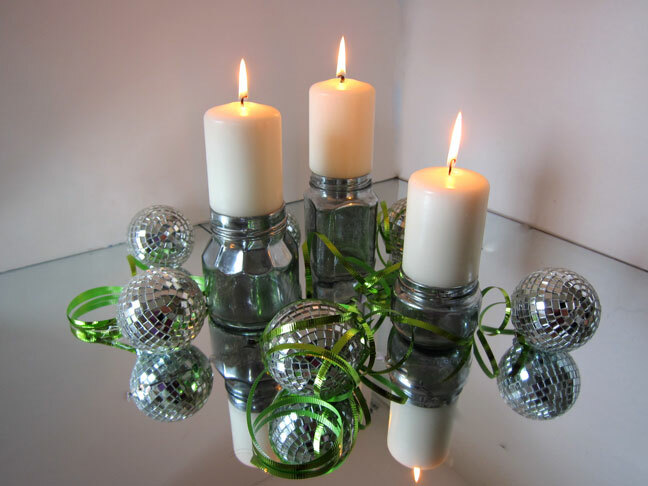 Do you like the look of Mercury Glass? All shiny and bright. 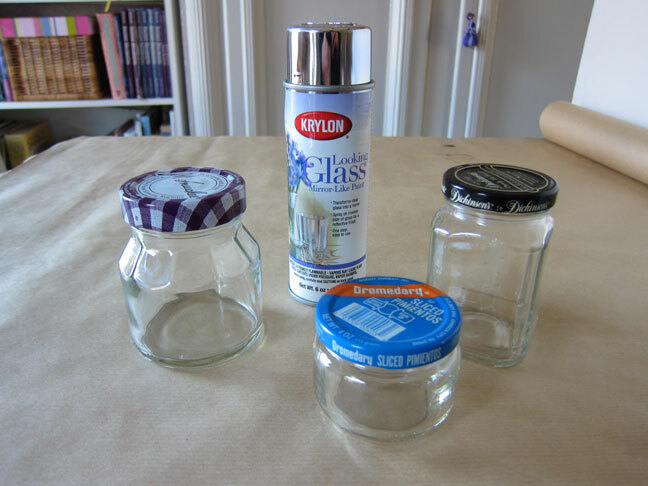 You can easily create your own with a product by Krylon called Looking Glass. 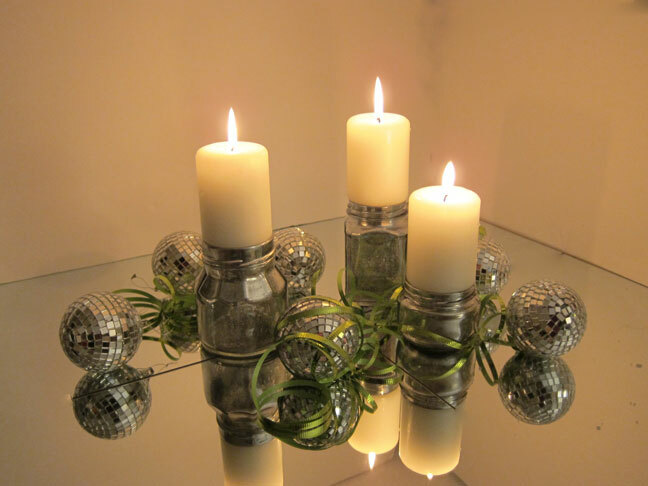 I created some candle holders using a few different shaped jars I was going to throw into the trash, but it works on any glass – vases, plates, platters and will add the perfect festive touch to your holiday decor. I found the paint at Michaels – not where the paint was sold, but in the Styrofoam aisle. 1. 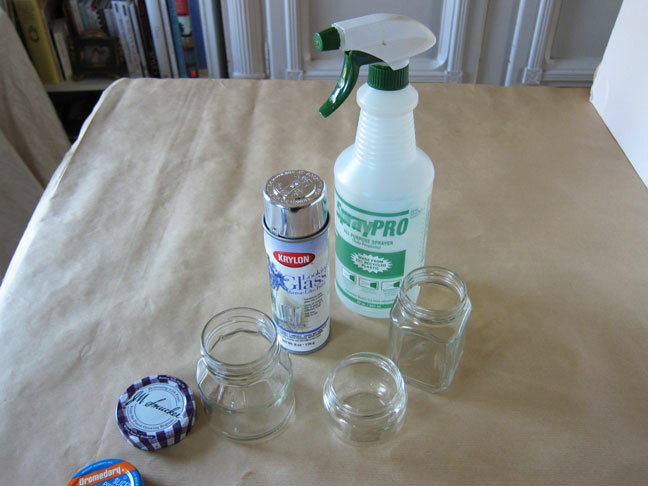 Make sure your glass jars are clean and dry. Optional: If you want to create a pitted-aged look on your glass you will need a spray bottle of water. 1. 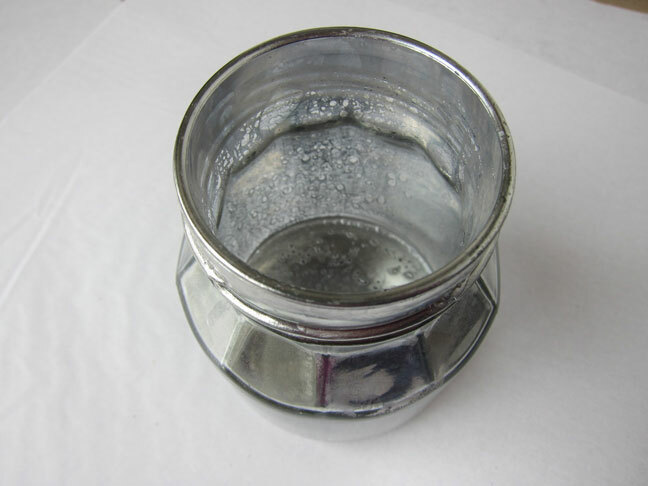 To create the shiny silver finish – spray INSIDE the jar or vase, not on the outside. If you want to use it on a plate or platter – spray on the backside. The paint will look dull until it dries. To create the pitted effect spray water over the paint after you spray the first coat of paint on. If you desire a more pitted look – spray a little bit of water on after each coat of paint. Note: This is not like other spray paint you may have used. You must shake the can vigoursly for 2 minutes before using and then every 10 seconds as you are spraying. 4- 5 very light coats will create the shiny finish.